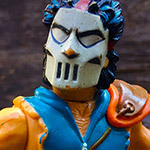 Five Random Action Figures, Part 41! | Dinosaur Dracula! 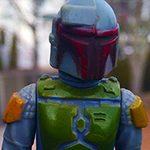 Welcome to the latest edition of Five Random Action Figures. I hope you appreciate the seasonally-appropriate setting in these photos. You owe me 10 ounces of sweat and 12 ounces of bug spray. King Sphinx is an interesting cat. If you’re like me and you only casually followed Power Rangers, you might’ve assumed that he was a major recurring villain during the first few seasons. In fact, not counting happenstance cameos, King Sphinx only appeared on the “proper” series once! So, why do we have such strong memories of King Sphinx? As it turns out, he also appeared in the initially-unaired pilot episode, which was later released as The Lost Episode. Since that pilot served as the inspiration for so many different MMPR-related products, King Sphinx turned up on everything from window clings to storybook covers. 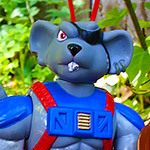 For that first year or so, he was on as much stuff as Goldar. 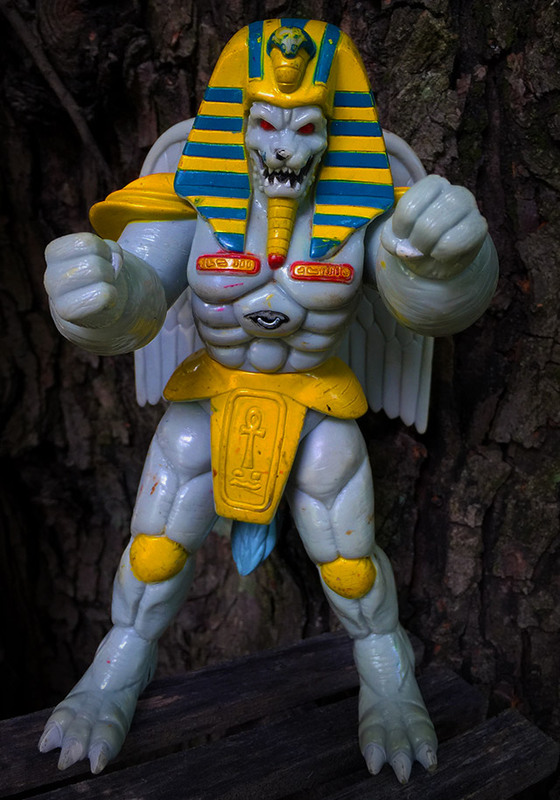 Speaking of Goldar, King Sphinx kinda looks like his final evolution. 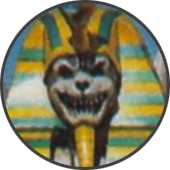 Or like King Tut mixed with a Terror Dog. I’m cool with either. This figure was a Big Deal in the mid ‘90s, partly due to Angela’s shapeliness and skimpy attire. I’m not so sure that her costume would fly by 2017 standards, but I’m also too naive to know the difference between sexualization and a little skin. In any event, this was an amazing figure. Really, the whole line of Spawn toys was brilliant. The figures weren’t especially durable (an understatement), but the sculpt quality and large sizes were unheard of at the time. Ironically, Spawn’s own figures were probably the line’s least-impressive. I’d call one of the Violator figures the line’s best, but Angela is a close second, and one of the top “human” figures of the ’90s, from any line. I’ve already covered Ninja Warrior, a Karate Kommandos villain who was pretty much a palette swap of this guy. 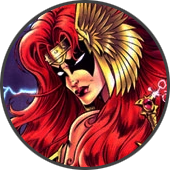 I’ve still never seen the cartoon, but I’d wager that “master” must outrank “warrior.” Congratulations, Red Dude. 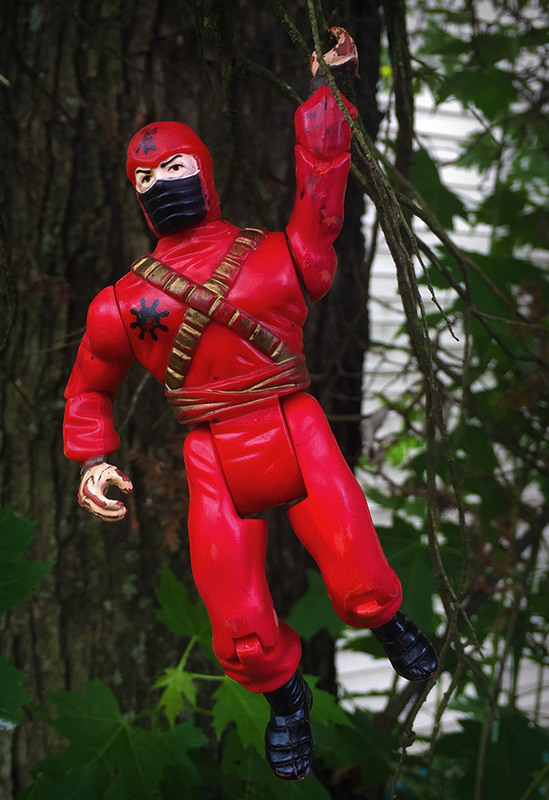 As was the case with Ninja Warrior, I dig the generic feel of Ninja Master. He could be a hero or a villain. A leader or background muscle. I loved those sorts of action figures as a kid. 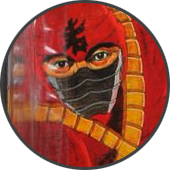 A figure like Jabba the Hutt could only be so many things, but with one like Ninja Master, I had a blank canvas. Instead of recreating movie scenes and whispering cartoon quotes, I got to devise my own stories and map out new adventures. Back then, one of the best things you could do was pick a figure from a line you knew nothing about. 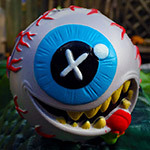 It was the toy version of developing a character in a MMORPG. 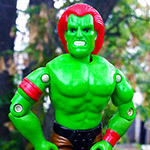 Some of my earliest toy memories are of this exact figure, and when I say “earliest,” I’m not kidding. The memories mostly involve me chewing Vader’s cape and lightsaber. I was that young. 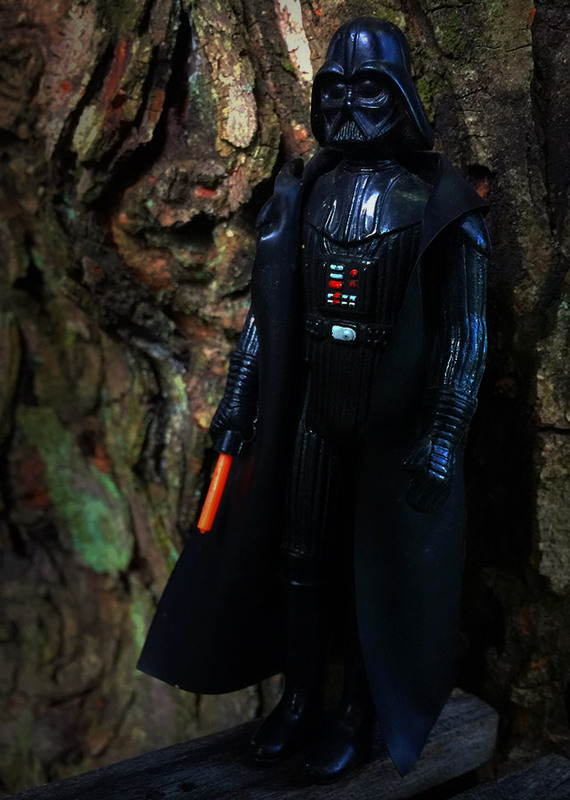 Kenner’s classic Darth Vader figure was in production for 7 or 8 straight years. That would never happen these days, when it’d be constantly retooled to give people reasons to buy the same character over and over again. 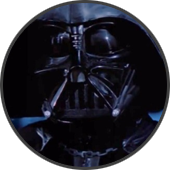 Confession: As a kid, I could never resist the urge to remove — and ultimately rip — Vader’s cape. It’s not that I wanted to, really. Something in my brain made me do it. Without the cape, the figure looked terribly thin and not at all menacing. At that point, I’d “recreate” Vader more in the mold of C-3PO. He’d be a quiet “servant” type — frail, skittish and eager to please. That might explain why I still insist on wearing hoodies when it’s 150 degrees out. The first Krang figure came in that weird robot walker thing, which while canonical wasn’t what fans wanted or needed. This was. The height didn’t exactly make sense. 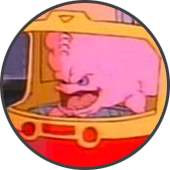 Krang temporarily had the ability to supersize himself on the cartoon, but I believe it only happened once. For the bulk of the series, the android body stood only a little taller than most characters. 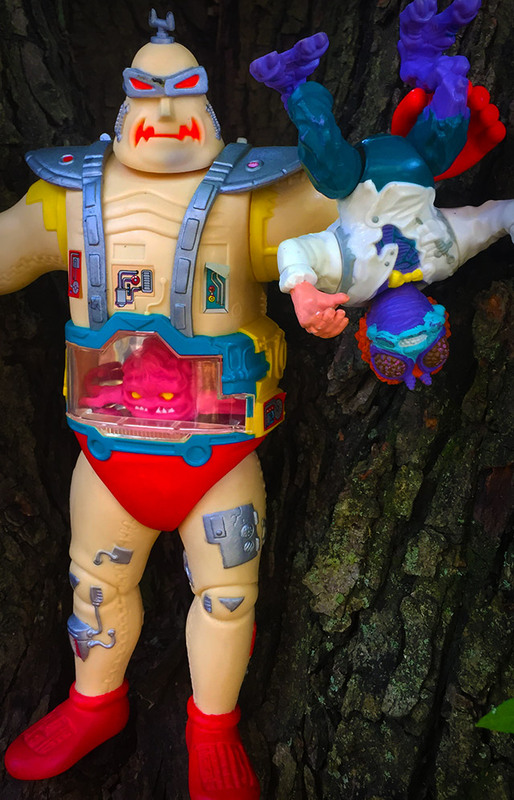 Playmates eventually released a smaller version of the android body (complete with a tinier Krang figure), but I think more people preferred Krang Kong and his unholy ability to swat Ninja Turtles like they were mosquitos. Thanks for reading about more old toys. 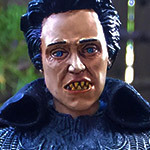 If you missed it earlier this week, this is your last chance to get in on Dino Drac’s July Funpack! Don’t act like you don’t want a pet shark head and a piece of old cereal.